I am back with another last minute Christmas project. 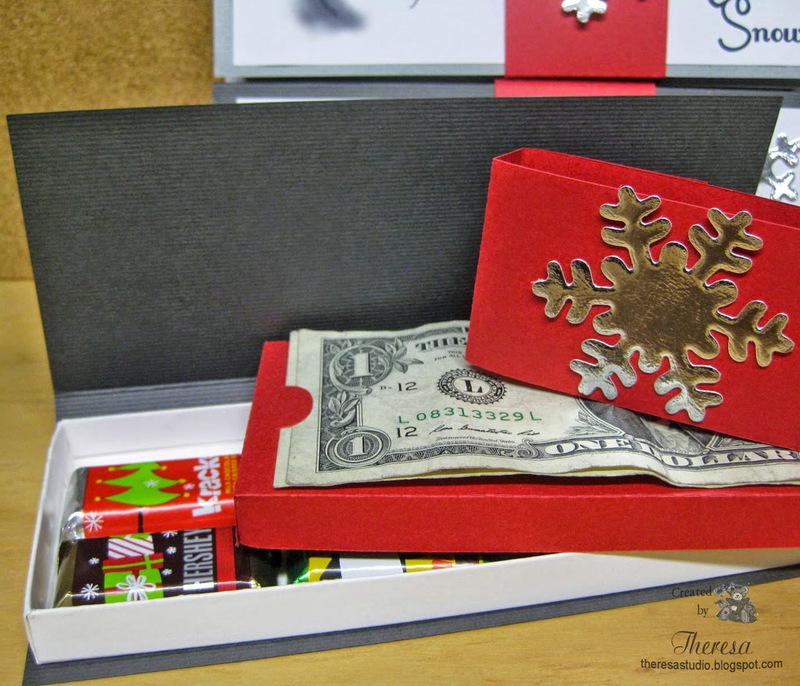 I made these boxes that can be used for cash, gift cards or even lottery tickets using a Silhouette cut file. 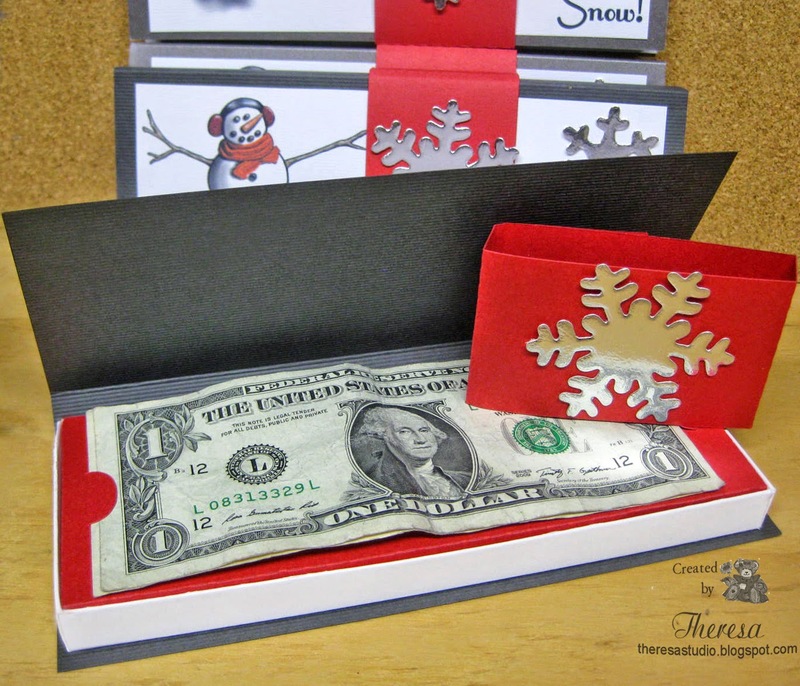 I made 5 to be used for cash and found they also can hold some candy beneath the insert. I cut the bands and inserts from red CS using the Cameo. I cut a pattern for the box and cover and then cut them manually to better use the paper and I like to score these parts using my Scor-pal. The top panel was printed but could have been stamped just as well but I did the quickest way. I used Sizzix die to cut Snowflakes from Silver Metallic CS to finish. I used dollars bills for the photo but plan to fill with larger denominations. Scor-Pal Challenge: Monthly challenge is anything goes with your Scor-Pal using more than one score. The boxes and covers were scored with several scores. Love these boxes,especially knowing you can put some candy beneath. 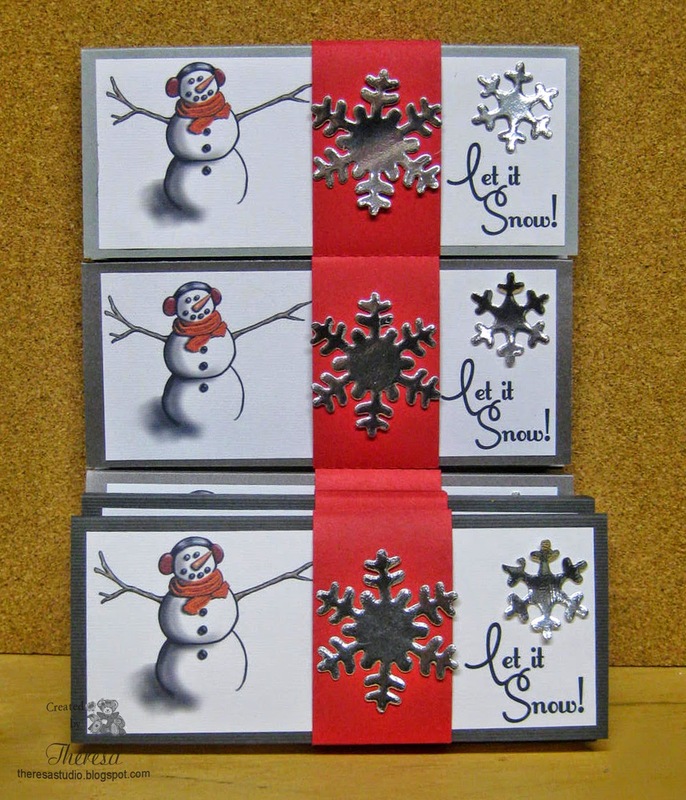 What an adorable snowman, I need to cut a couple of gift card boxes. Thanks for my beautiful card, hugs to you. Gorgeous!!!! And a wonderful gift idea!